Obagi Professional-C Serums neutralize free radicals at all layers of the skin, before they damage skin cells and accelerate aging. Apply a few drops to face, neck, chest or around your eyes in the morning. 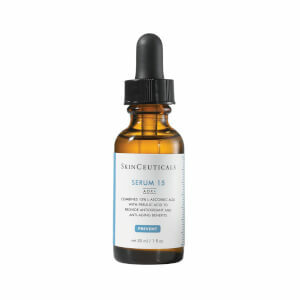 This serum is the best C I have tried. 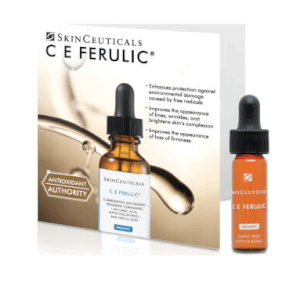 Much better than the CF or CE by Skinceuticals. 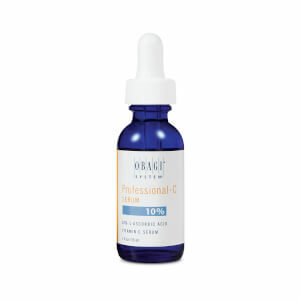 It does everything a C should do, helps keep breakouts at bay, smooths fine lines and wrinkles, evens out skin tone. I just ordered my 3rd bottle and I'm a very picky skin care person. If you are in need of a great morning serum, try this, you won't be disappointed! I really like this product, it makes my complexion brighter. I have very dry skin that is prone to eczema, and this actually cleared it up, along with making my skin feel wonderful. all of my frineds recommend this to me and i reallly want to have a try . they said that it will make ur face skin smooth and look shining ~ amazing~ all of my frineds say will continue using it. I have to say, I like this product very much. I saw a difference in my skin within several days of use. It was brighter and smoother, however, the serum takes a while to absorb (I also use the C Rx Exfoliating Lotion on top of it). When I first tried to put my primer on over these, it beaded up because the Obagi products hadn't fully absorbed and were still tacky. So I needed to wait about 8-10 minutes (which is a little impractical) for the serum and lotion to fully absorb before putting primer and makeup on.If you know this and plan accordingly, I guess it's not too bad but it certainly takes more time in the morning -- especially if you're in a hurry. I have been using the Obagi system for 6 years now. The results have been outstanding. This Vitamin C serum is an important part. I use it in the morning after cleansing and before using the exfoliator. You only need a few drops that are easy to dispense with the dropper included with the product. I also use it on my neck. I have oily muddy skin and this has a great brightening efffect almost immediately after less than a weeks use morning and night. Kind of slimy going on - but I layer another antioxidant over this and an asian sunscreen so in the end my skin is matte anyways. However, forgetting to wash my hands of this stuff when i put it on and layering retinoid and copper serum will stain your hands red overnight - yikes and it is very difficult to remove. Leaves my skin smooth and protected from the sun. Smell is awesome too.